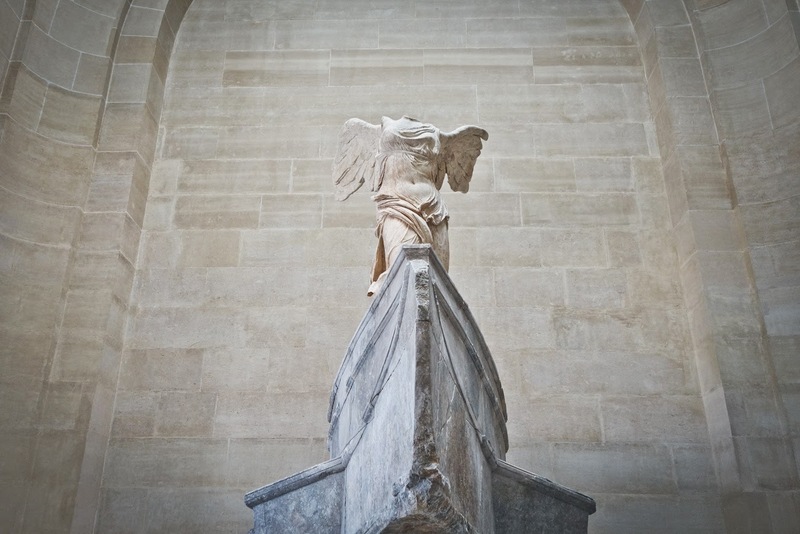 Discovered 150 years ago by French diplomat and amateur archaeologist Charles Champoiseau, Winged Victory of Samothrace is one of the five most popular works at the Louvre Museum, which attracts almost 10 million visitors a year. So, if this Hellenistic masterpiece is such main attraction at the museum, why would they have taken her way for almost a full year!? 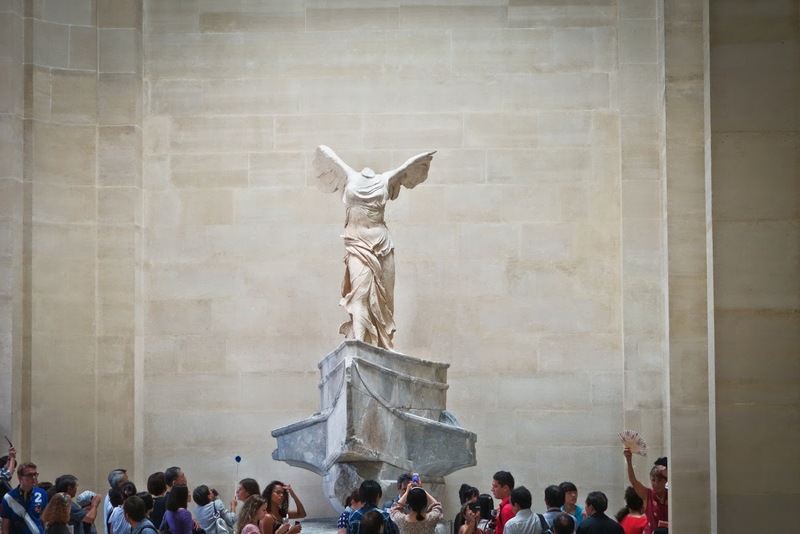 So with great anticipation, the 2,200-year-old, 18ft tall (5.57 m), 29-ton Winged Victory of Samothrace is now back for public viewing at the Louvre and she is ready for her close up! Cleaner, more complete and whiter than ever she returns back to her monumental pedestal on top of the Louvre’s Daru staircase. During the restoration Scientist Giovani Verri, from the Courtauld Institute of Art identified microscopic traces of blue paint, showing the statue was partly colored with at least a blue fringe on the drapery. He also found blue pigments on the wing. The restorers were also able to add some fragments of the drapery and the left wing’s superior flight feather to the statue. As one walks up the steep and dramatic Daru stairs—designed to give us a spectacular view of the Winged Victory—it would be as though one would be are approaching the Greek island of Samothrace by boat. That was how the goddess was designed to be seen; her installation here at the Louvre tries to capture that visual experience. 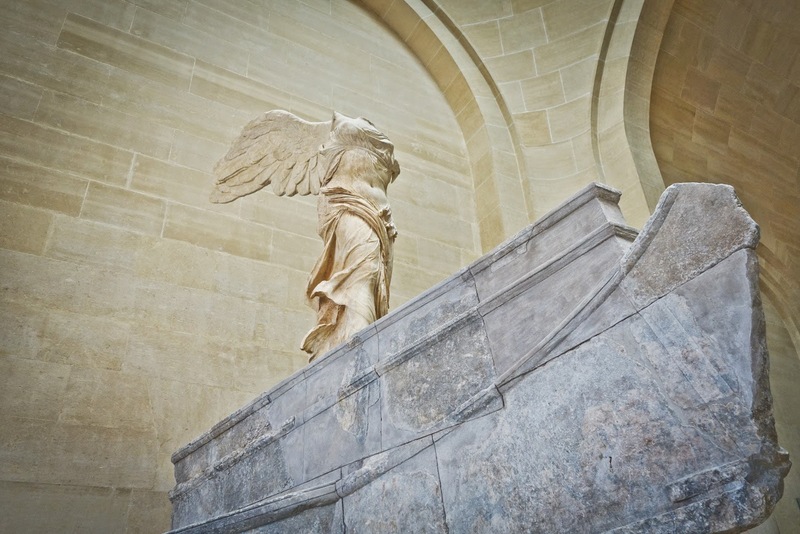 The Winged Victory originally stood in Samothrace on a cliff towering over the esplanade of the Sanctuary of the Great Gods, a complex of a dozen temples dedicated to different deities popular in Antiquity. Art historians believe Nike was made in approximately 190 BC however fell from its pedestal in a natural disruption like an earthquake. Now that she is back and restored, she is more spectacular than ever. Forever locked for eternity in a moment in time this windswept goddess truly is victorious in winning the hearts of all who see her.